During this Year of Mercy we not only remember to Open our Hearts to Life because Each of us is a Masterpiece of God’s Creation as Pope Francis has called us to do, but to also shine a light on maternity residences and the services they provide. By opening our hearts to life we can provide these residences with the help they need so that they can continue to help others. Please consider supporting these residences. 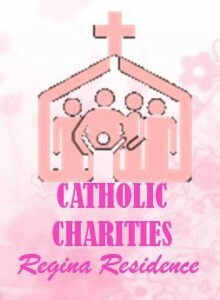 Do you or someone you know need assistance as a parenting or pregnant single young woman? Regina Residence of Catholic Charities in the Diocese of Rockville Centre provides services for up to 16 young women and their children. All proveded assist young women to begin a stable and structured  way of life. Volunteer your time or services, group volunteering available. Are you or someone you know homeless and need assistance in providing a home for the family? 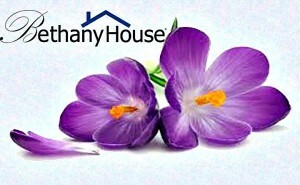 Bethany House provides safe, supportive emergency housing for homeless women and their dependent children. Bethany now has the capacity to house up to 85 women and children nightly. Are you or someone you may know pregnant and need housing assistance? Mommas House can help to provide a safe home and parenting  plan for young pregnant woman. Where young mothers ages 17-23 can stay up to two years. As they learn the practical skills needed to be a working parent, mothers prepare to leave MOMMAS House able to live independently with their child. 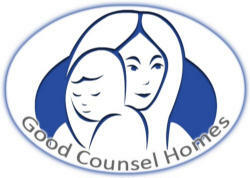 Mother of Good Counsel Home, a program of the Oblate Sisters of the Most Holy Redeemer, is a group home which ministers to the needs of pregnant and parenting adolescent, young mothers and their babies. Spiritual, social, psychological and educational, in order that they may become more mature and committed citizens and parents. While they are guided towards becoming loving and caring parents, the young mothers are also taught independent living skills which will help them to provide for their own future needs, their well being and those of their children. It is our vocation to serve those in need, to aid those who desire help, and to guide those who seek better lives. Through supportive interventions, we provide help, create hope and preserve dignity. We provide help by offering an array of services for underserved families and individuals with special needs. All that we do is delivered with care, compassion, and respect, to address fundamental challenges, improve well-being and increase self-sufficiency. We create hope by strengthening and empowering families and individuals in need. By providing shelter, care, treatment, rehabilitation, cousneling, training, and connection to high quality allied services, we produce holistic solutions that enhance each person’s physical, mental and social well-being, as well as their positive connections to family and community. Mentoring, role models from the community that encourage young women to develop as workers and parents.